I am not fond of palettes as I know there would be few shades that will remain untouched forever. When I visited Faces store, this palette instantly grabbed my attention and I was impressed by its sheer yet gorgeous shades. 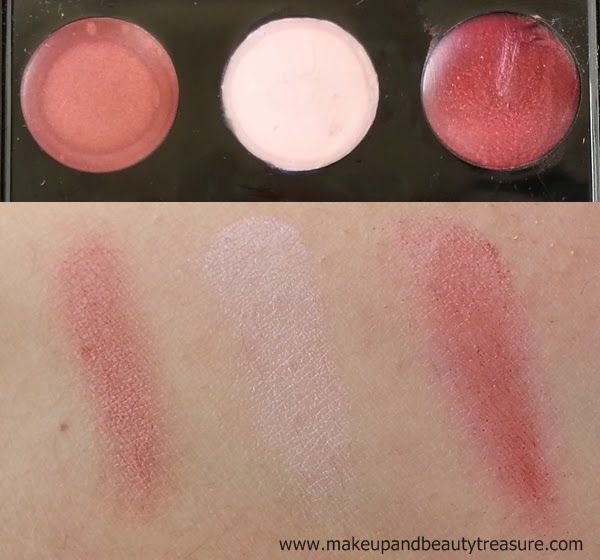 Today I am going to discuss my experience with Faces Cosmetics 9 Well Lip Palette Kit. 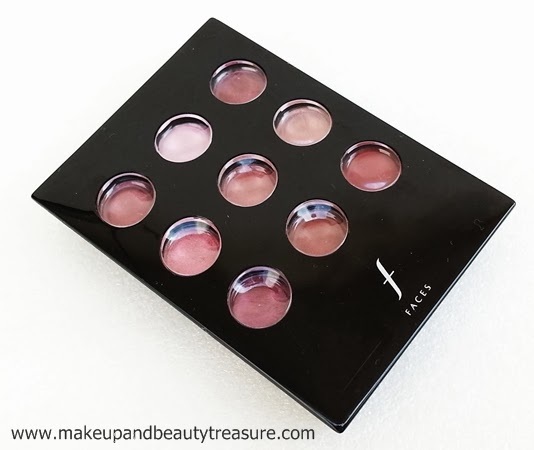 Faces Cosmetics 9 Well Lip Palette Kit comes in a small rectangular glossy black plastic palette with a black flip open lid. The lid has small circular clear windows over each shade that enables you to see the shades in the lip palette. The palette comes sealed in a plastic wrapper to ensure that it has not been opened or used. It contains a small rectangular mirror attached on the lid. Although it is very small but it does its job well when you are travelling. It does not come with a lip brush so make sure that you carry your own. It houses 9 different shades of lip colors. Overall the packaging is quite light and looks classy. The formula of all the lip colors is same. It is very soft, smooth and creamy. It is applied easily using a clean finger or a lip brush. It glides easily across my lips without bleeding, smudging or feathering but I always make sure to apply a lip liner for a more defined look. It is very moisturizing and I don’t feel the need to apply a lip balm underneath it. But if you have extremely dry lips, make sure you exfoliate your lip well and apply a good lip balm. It doesn’t feel heavy or greasy on my lips. My lips feel soft, smooth and moisturized. The pigmentation of all the lip colors is different. Some are sheer while some are medium to build-able. You can wear it lightly or layer it up for a more dramatic look. 1. The first color in the first row of the palette is sheer copper with satin finish. It is a perfect neutral shade and looks lovely on lips. 2. The second color in the first row of the palette is sheer pink color that looks almost clear on the lips. It looks glossy on the lips. It can be worn alone for that shiny pouts or can be topped over lipsticks. 3. The third color of the palette is copper-y brown color with a beautiful satin finish. It comes sheer on the lips but can be layered to add more depth to it. 4. The first color in the second row is a sheer shimmery pink color with satin-y finish. It looks natural on the lips and the shimmers are very fine. 5. The second color in the second row is a bronze-y brown shade with a satin finish. It is the most beautiful shades of all and I love wearing it with my traditional dresses. 6. The third color in the second row is a sheer copper bronze shade that can be layered up for creating a stunning statement. 7. The first color in the third row is a red plum shade with a hint of brown in it. 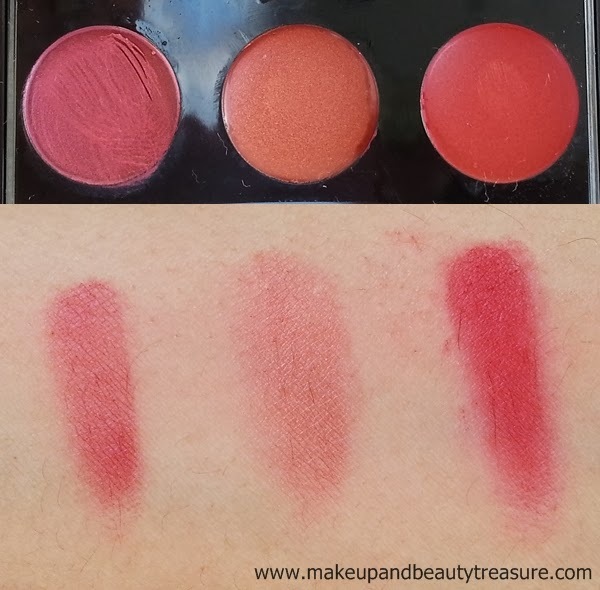 It is quite pigmented and gives true color in few swipes. 8. The second color of the third row is a light brown color with a satin finish. It looks neutral and is perfect for day wear. 9. The third color of the fourth row is a dark red shade with metallic finish. It is the most pigmented shade of all and looks really gorgeous and stunning on lips. I love wearing it in parties. The staying power varies for different colors. The sheer colors stay put on my lips for 2-3 hours while the darker shades last for at least 4-5 hours. I use Lipcote (review coming soon) over my lipstick to make it stay longer. The lip colors are easily removed with a lip remover without staining or drying out the lips. 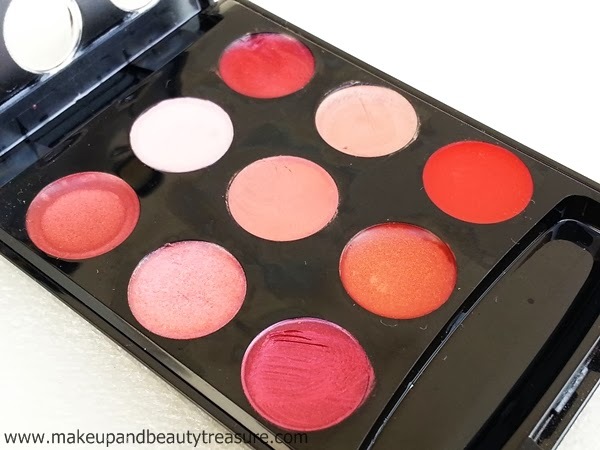 The lip palette has all the gorgeous shades that one would like to have in her stash. If you are fond of bright and bold shades then it might not impress you. • Sheer to medium build-able pigmentation. • The shades are all wearable. • Does not come with a lip brush. 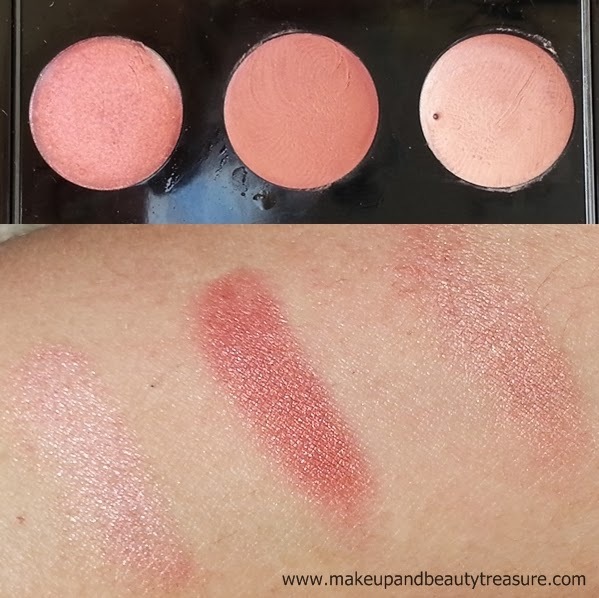 Overall I am really impressed with Faces Cosmetics 9 Well Lip Palette Kit. It contains all my favorite colors and I like using it a lot. It is easy to carry and is a boon when you are traveling as you have 9 colors in one palette. It has soft, smooth and creamy formula and glides easily across the lips. I am totally in love with palette and would recommend it to everyone. 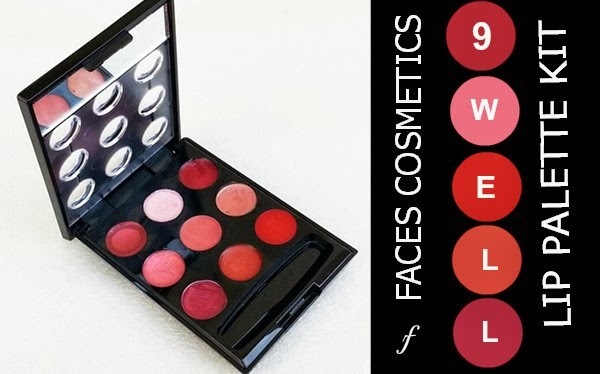 Have your tried Faces Cosmetics 9 Well Lip Palette Kit? How was your experience? Share in the comments below!